The material that Ancient China had traded for thousands of years. The year that the Silk Road started. Name the person that introduced the Silk Road to Europe. Who was the traders called? Trade is the process of which people sell and _______ products. What did traders use to transport the the goods along the Silk Road? The greatest value of the Silk Road was the exchange of _______. Who was the most successful traders of the Silk Road? 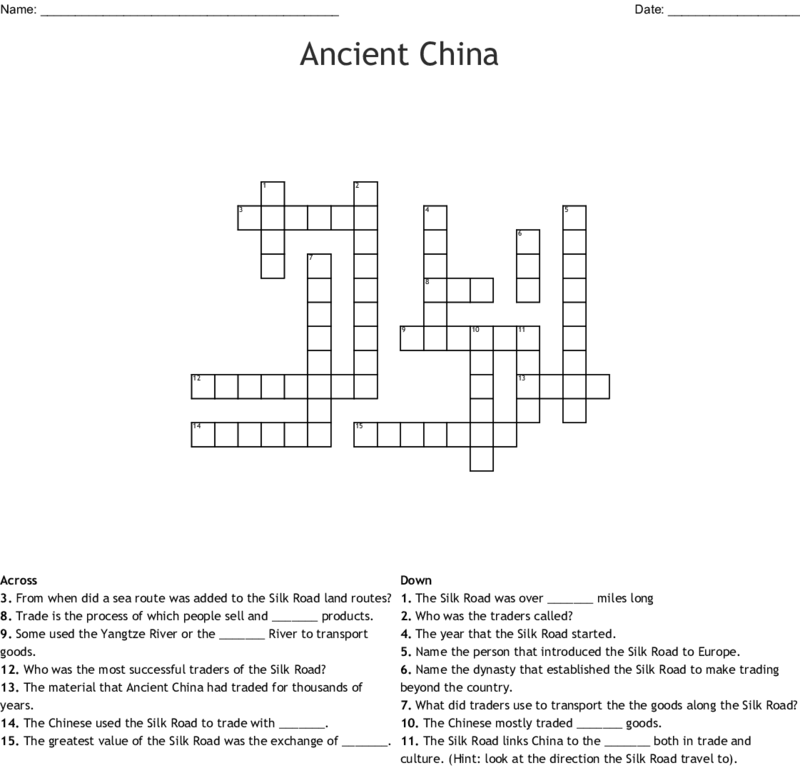 Some used the Yangtze River or the _______ River to transport goods. From when did a sea route was added to the Silk Road land routes? The Chinese used the Silk Road to trade with _______. The Chinese mostly traded _______ goods. The Silk Road links China to the _______ both in trade and culture. (Hint: look at the direction the Silk Road travel to). Name the dynasty that established the Silk Road to make trading beyond the country.